What Is Safer Internet Day 2013? So, I don't know about you, but I am wondering what Safter Internet Day is. Like what it really means. Well, here's what is it! On the 5th of February it's Safer Internet Day! Which is a day that’s organised every year to help teach kids and parents around the world about how to stay safe online. It is very importent for Club Penguin to help kids stay safe online. Which is why they wanted to give us all a FREE coin code for you to unlock! The code is "STAY SAFE"! The theme of this year’s Safer Internet Day is Connect with Respect. So you understand this more, Cp interviewed UK X Factor star, Ella Henderson. Check out the video below! The hidden Club Penguin Cheats in the Penguin Style Clothing Catalog for February 2013 are here! For the first cheats. Go to the to "Now Trending" on the 4th page. Go to the 9th page. And click the star. 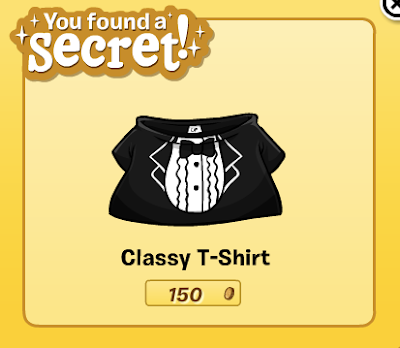 And you found the Classy T-Shirt! Go to the 11th page and click the paint brush. Go to the next page and click the tree. And you found the Sea Brezze! Go to the 13th page. 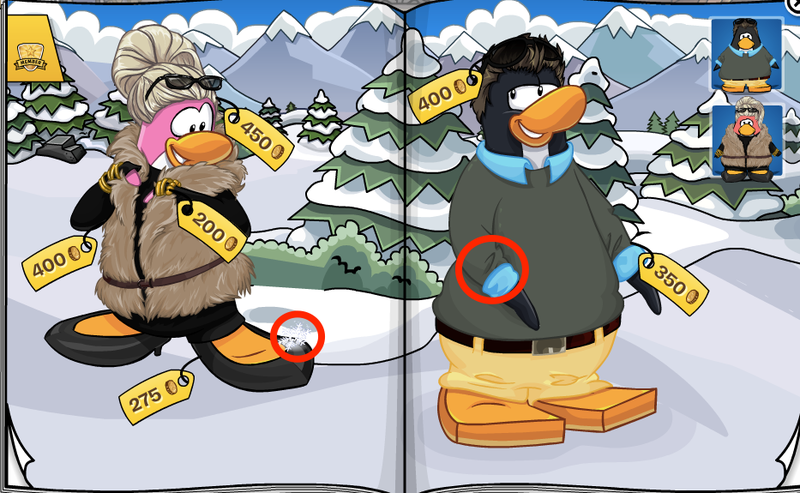 And click the snow flake and the penguin's arm. And you found the Silver Stilettos! 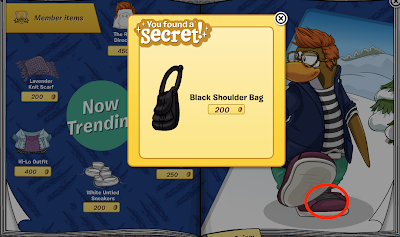 Now flip the page and click the skull! 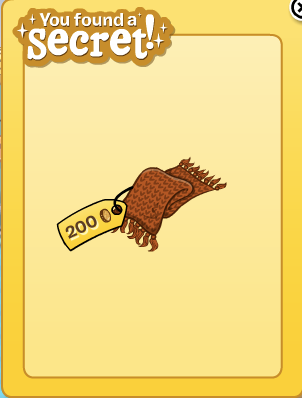 And you found the Cozy Orange Scarf! Now go to the 15th page and click the trees! You have found the Tree Costume! For the next cheat, go to the next page. And click the door. 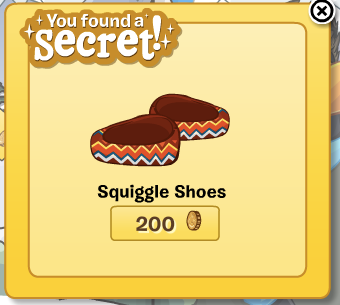 You now found the Bunny Slippers! 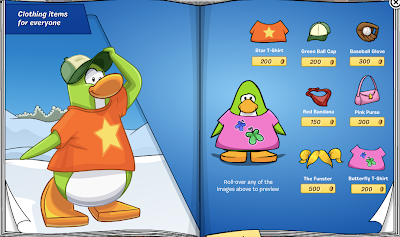 Lots of awesome new items! 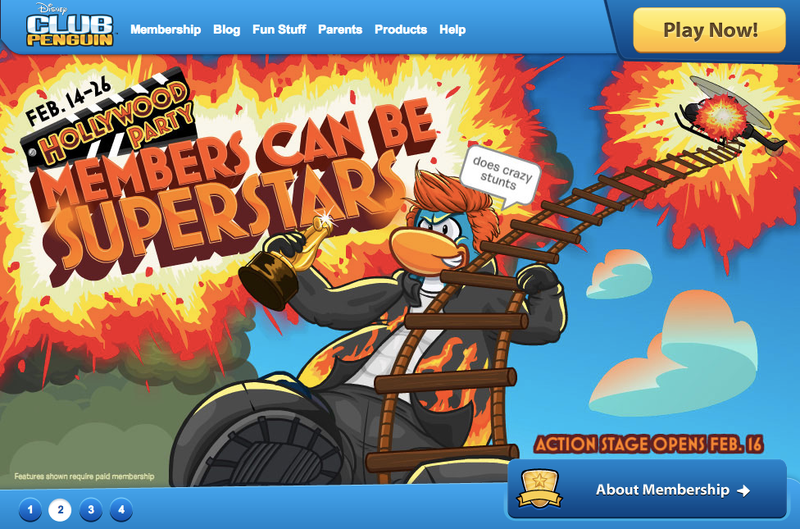 New Club Penguin Home Page! 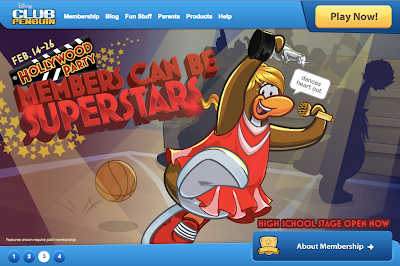 Check out the NEW Club Penguin home pages! This party looks so legit! Can't wait! You!? 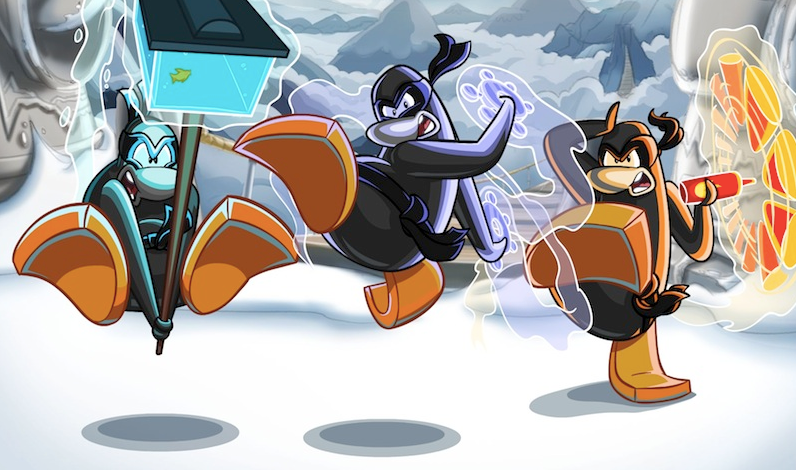 Club Penguin Times #380 is here! New awesome Super Star Party coming this month! Get pumped! The dino party went awesome! I hope everyone had an awesome time! Yes! Let's finally get that cleaned up! These secrets are turning more into tips. 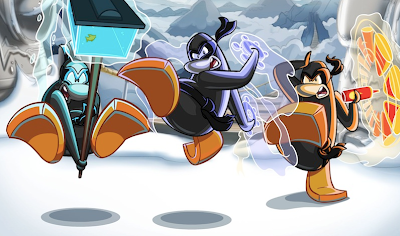 Next month, we'll have the chance to BETA TEST Card-Jitsu Snow! 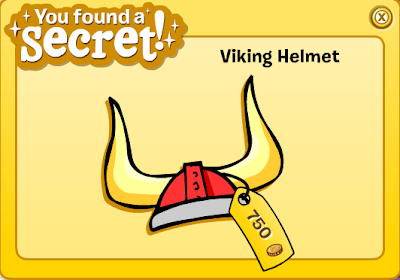 W00T! Since Club Penguin started back in 2005, we have never been able to BETA TEST a game. Until now, we'll have the chance to try out the brand new multi-player game. CARD-JUTSU SNOW! I'm so excited to be apart of this! What do you guys think!? It's about time, yeah? Check out this months Cave-man teamed Featured Fashions! 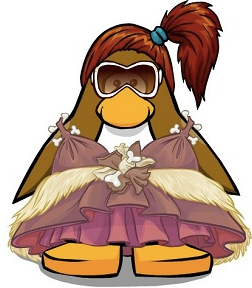 Next we have RubyPark, who looks so glamorous in this prehistoric party dress! 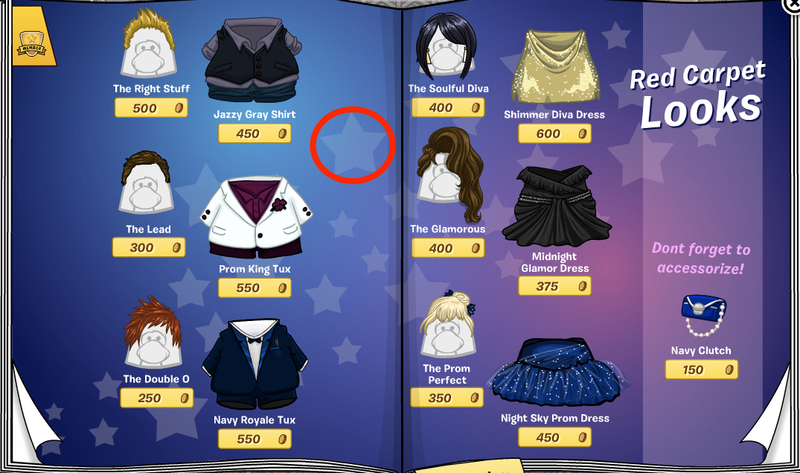 The Diva Sunglasses finish the outfit off lava-ly! 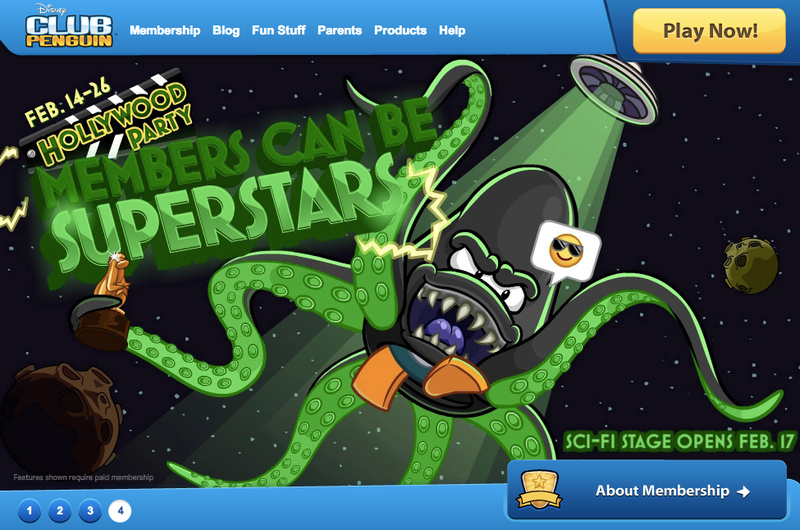 Thanks to Blazer Boy2 for nominating his buddy Fe1834! 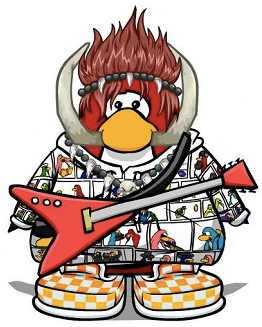 This is the ultimate caveguin rock star oufit! You look dino-mite! Pretty neat! And remember, you can always nominate your cool clothed buddies to Cp! Let's Roar: FREE Prize Jan. 19, 21, 23 & 26! 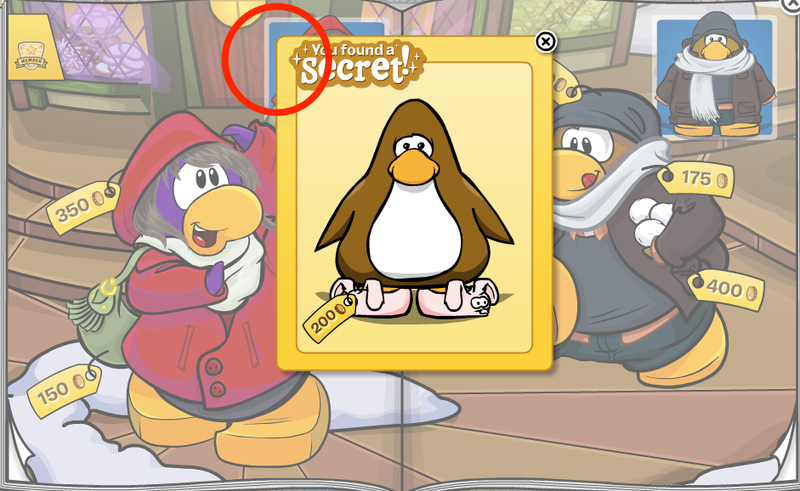 Club Penguin NEW Coin Code! 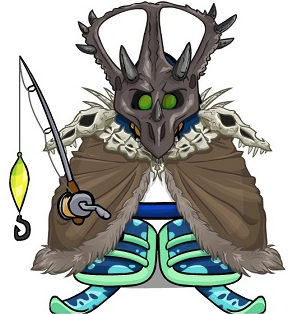 Meet Gary at Prehistoric Party Video! Club Penguin Pin Cheat - STONE HAMMER PIN! 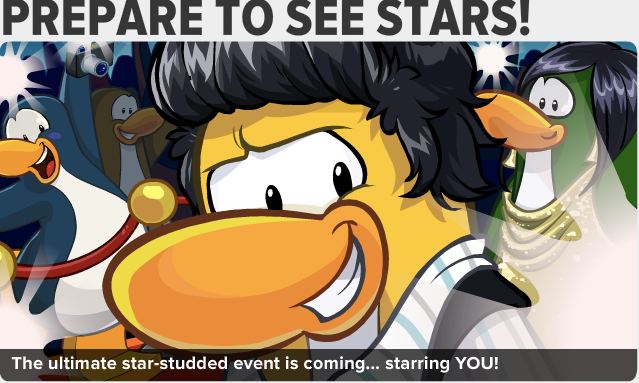 Club Penguin Album Coming Soon! 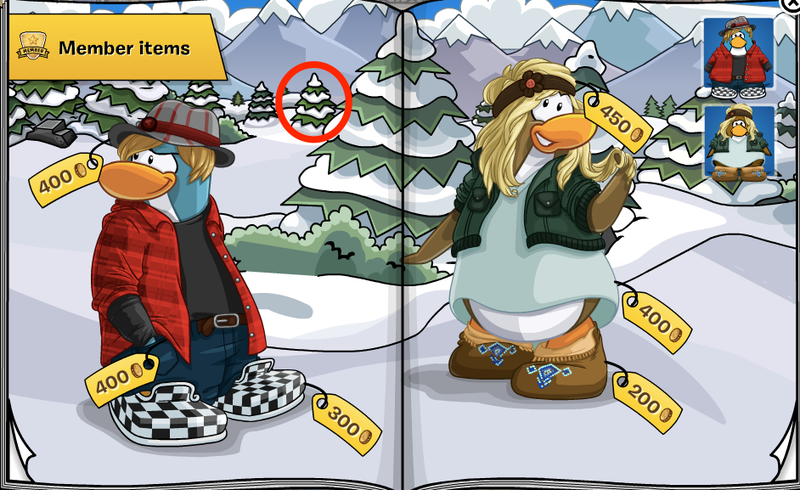 This Months Featured Igloos Are Here! Reviewed By You: Prehistoric Party! 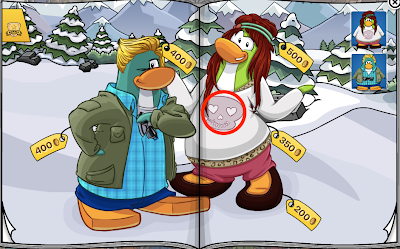 Club Penguin 2013 Prehistoric Party! 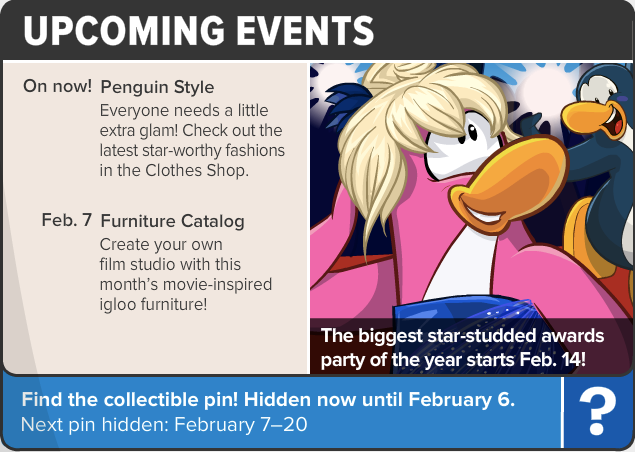 Club Penguin Prehistoric Party Q & A! Club Penguin Featured Fashions: Retro Styles! 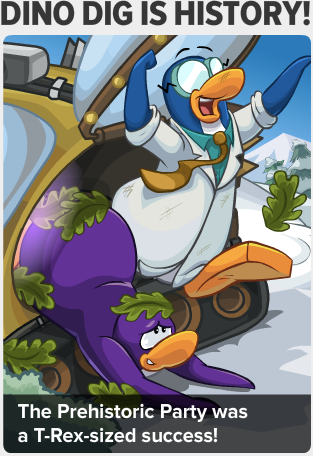 ANOTHER Prehistoric Party Sneak Peek! More Dino Party Sneak Peek Photos! Reviewed By You: Time Travel! Club Penguin Pin Cheat - DINO FOOTPRINT PIN! 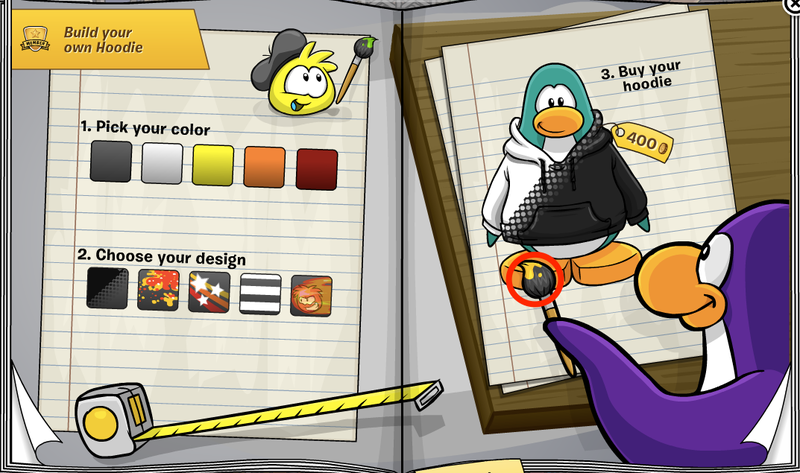 January 2013 Club Better Igloos! 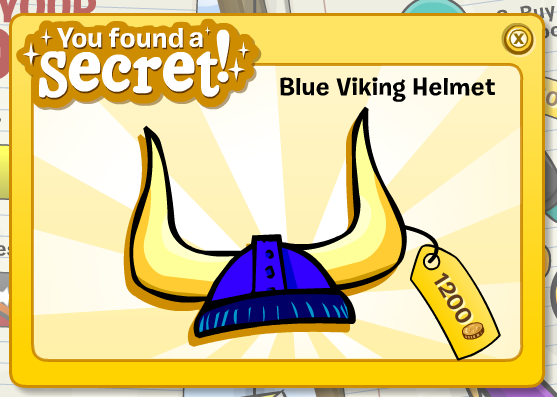 Time Machine In The Snowforts! The Penguins That Time Forgot Is At The Stange! 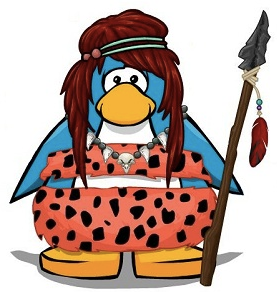 Prehistoric Party Video: January 17! The Truth About The Iceberg! 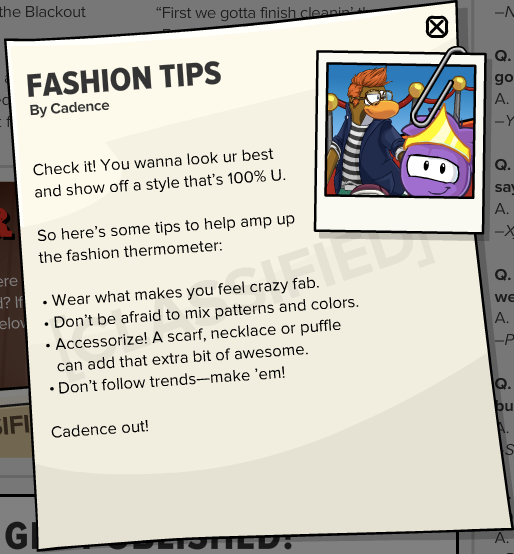 New Club Penguin Message: G! Coins For Change 2012 - Final Results! 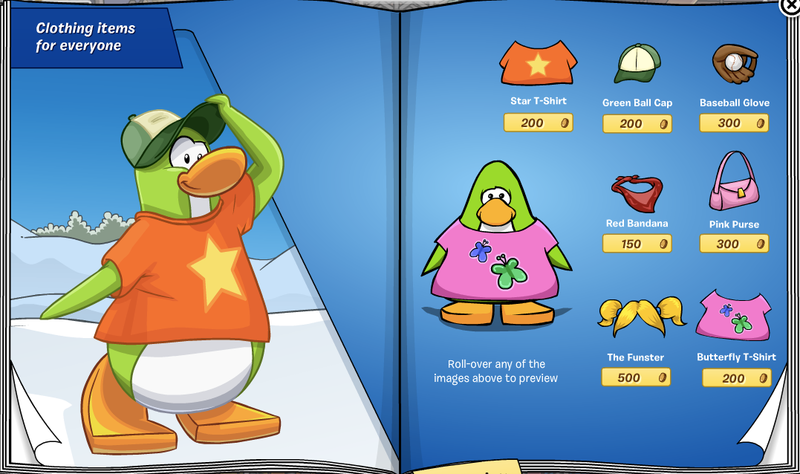 Club Penguin Clothing Catalog: January 2013! 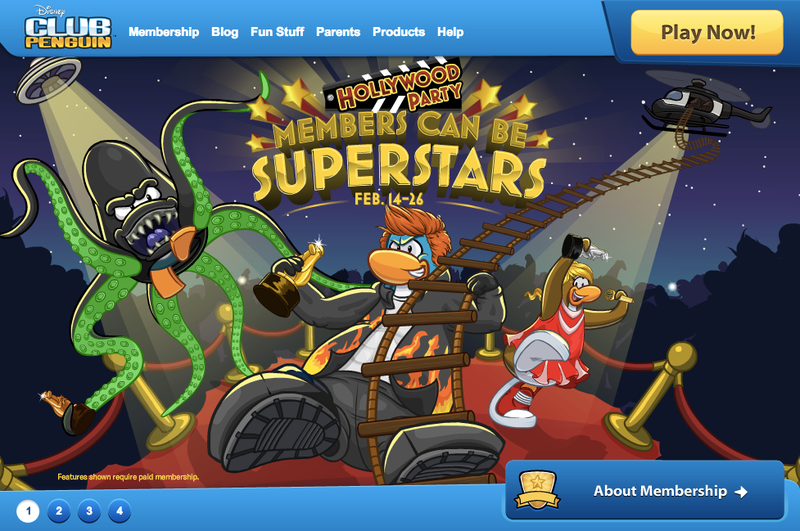 New Home Page And Log-Off Screen! 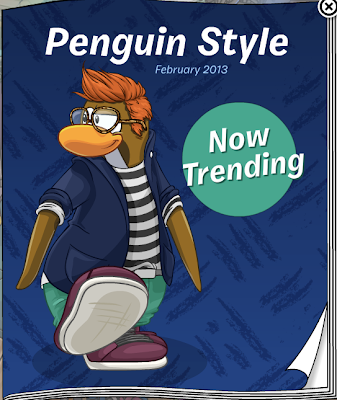 January 2013 Penguin Style Sneak Peek!